Come and use the power of your voice vibration to explore the thoughts and feelings that your body is holding and hiding. Once these holdings are recognised, you can release them to understand what it is that restricts your self-expression at times and to accept and expand your voice. 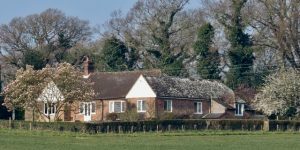 Spend three days in the beautiful East Sussex countryside, exploring, expanding, freeing and accepting your voice through a combination of sounding, sonic meditation, and coaching. explore and expand the connection between your body and your voice. “Judith’s patience, dedication and mastery of her work creates a tranformative environment. When you leave, you will have more confidence in using your physical voice, more acceptance of how you sound, and an ability to place your voice where you want your intention to be. You will have a raised awareness of where you may restrict yourself when speaking, and have released some subconscious blocks around self-expression, feeling lighter and more free to express yourself. 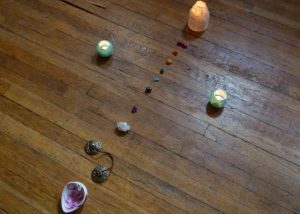 Join us for daily sound healing, sonic meditation, coaching, journaling, crystal energy connection, country walks and quiet reflection time… You also have the option to join the daily morning silent walk as we walk the cottage dog. We will make a couple of trips to surrounding areas and have the village church to ourselves to make the use of its beautiful acoustic for a spectacular sounding. 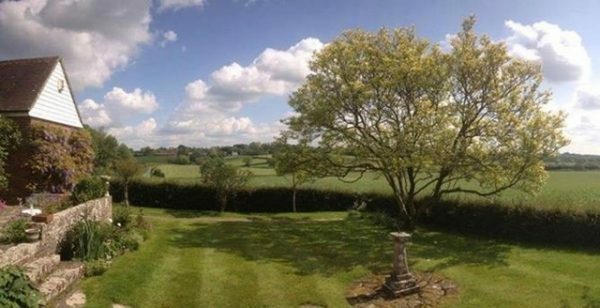 The retreat starts at 7:30pm Thursday 20th June 2019 (arrival from 5pm) and ends at 12pm Midday on Sunday 23rd June. EVENT OVERVIEW: some elements are to be confirmed and may be weather dependant. Thursday – Arrival from 5pm – Welcome supper at 7:30 followed by an introductory sonic meditation. Each morning there is the option to join the silent morning-walk (with dog – if there!) which will be followed by breakfast and then the first session of the day. Either sea sound connection at the beach or stay at cottage for self-expression & expansion session. The morning sounding sessions are where the core of the work will happen. I will guide you in toning a specific sound to resonate with each of the energy centres (chakras) of your body in turn. As you repeat the specific tone I will read the meditation over your toning. This is the space where you recognise and release the holdings that you carry in that area. When this ends there is silent reflection and journaling of what arose for you, followed by the opportunity to share your observations with the group. We then fill the space you’ve created with sound and a higher vibration intention and gently move up to the next energy centre. We then break for lunch and the afternoon activities are to enhance the awareness’s of the morning. Relaxation time is included in the afternoons and evening of the retreat. Limited 1-2-1 sessions with Judith are available as an added VIP upgrade if you would like. Please enquire before the event. You will share either a room, or a bathroom. The prices below are what you pay for the whole retreat, including accommodation, all guided sounding and coaching sessions, and meals* from Thursday supper to Sunday breakfast. The afternoon trips will require a car-share and anything you choose to buy there is not included. ROOMS WILL BE ALLOCATED ONCE ALL SPACES ARE BOOKED – if you are part of a couple attending then your room will be confirmed as one of the doubles. As as single attendee, you may indicate a preference and I will try to accommodate that, however, group logistics will denote room allocation. PLEASE NOTE: You may pay in full on the confirmation call (you must have this call before booking – book your call here) or secure your place with a deposit. Payments must be made in full by the 1st February, or on booking date if after then. All deposits are non-refundable and are considered agreement to pay in full and attend the retreat. Any questions book your confirmation call or email connect@yourwholevoice.com. As with all retreats and holidays having your own travel insurance is recommended. *Meals will largely be prepared by Judith but a communal effort is requested. The pub supper includes two courses of choice and one drink. Testimonials are from both the retreat and sound and voice workshops on which the retreat exercises are based. If you travel by public transport I will be able to collect you from either Polegate or Battle stations (trains from London Victoria, Charing Cross/Waterloo East/London Bridge as well as Brighton or Gatwick ) Station pick-up will have to be arranged when all spaces are confirmed. Breathe. Give yourself a break. Get right away from your daily responsibilities and distractions to focus 100% on reconnecting to and expanding your voice and your ability to express yourself. Release past beliefs and create clarity for your next steps. Prices are per person. Before booking, to make sure it’s right for you, have your clarity call with Judith. Retreat runs from 7pm Thursday eve, to midday Sunday.